How to finance such a trip? – sell the car, rent out our apartment to cover the mortgage as well as the rent in Spain (rent in Granada is approximately half of rent in Sydney), take my husband’s long service leave (sabbatical) at half pay and try to save hard before we leave. Will we be able to work? Unlikely that we can work in Spain but we can do bits and pieces remotely back to Australia and spend our time studying Spanish, trying new things and supporting the children. When do we leave? We want to arrive in time for the start of the Spanish school year in early September but also enjoy some travelling during the European summer so we will likely depart in June then arrive in Spain at the end of August. How will we be able to stay for a year? Harness the parental heritage to obtain European passports for the family. We have made several trips to Canberra (where all the foreign embassies are in Australia) with piles of paperwork and a chequebook, and we now collectively have several passports covering 4 different nationalities. Those without European passports usually apply for a long stay non-lucrative visa which allows you to stay in Spain for a year or more without working. Where shall we live in Spain? Someplace where they speak Castellano, not Catalan, Basque or another dialect as the main point of the trip is for the kids to become fluent in Spanish so that they can speak to their paternal family in Mexico. The frontrunner is currently Granada in Andalusia at the foothills of the Sierra Nevada, however we are still open to suggestions. Will the kids be ok in the local Spanish school even though their Spanish is virtually non-existent? We’ll have to wing this, as we have no idea yet! What do we do with our 11-year-old arthritic Golden Retriever? (the one we managed to raise from a puppy) This one seems to be the deal breaker and has us stumped. She’s old and even if our family would take her, it seems cruel to do this to an old dog for such a long time. Poor old Chula! Sadly, our beautiful 12 year old Golden Retriever Chula had to be euthanised a month ago, after developing a number of ailments that weren’t treatable. We have been mourning her loss terribly. The children have been enrolled into the local public primary school in Granada, Spain. We have sold our car as well as many household items we no longer need. We are relieved that the trampoline has finally found a new home down the road. Thank you http://www.gumtree.com.au!! My European passport recently arrived after 11 months and 2 weeks of waiting – phew! All that is left now is to pack up our personal belongings and bid farewell to our friends, family and community who form a part of our identity and whom we will carry with us in our hearts and minds. No doubt several family and friends will turn up on our Spanish doorstep. The questions we had to answer to make the year happen are the same ones I now ask the families I work with to help them create an unforgettable time in Spain. Here are some for you to consider..
WHY do you want to go to Spain? Is it to spend time as a family and step away from your fast-paced life? Is it work related or purely leisure? Is it to experience a new culture, learn a new language? Our family’s answer to this was to spend a year as a family immersed in a new and different culture, learning the local ways and the language. WHAT do you want your year to look like? What are the main objectives that you want to fulfill in your year? Do you want to be with other expats or local Spaniards or both? Do you want to study, work or teach? Do you think you will be happiest in a big, medium, small city, country area, mountains or coast? Is access to cultural and sporting activities important? What sort of school do you want your children to attend? Our family wanted to to experience a local Spanish life so we chose a city with a mostly Spanish population and sent our kids to the local school. In addition to this we wanted to travel and explore as much of our European cultural heritage and family connections as we could during the school holidays or long weekends. How do you plan to finance your time away? How will you get the time away from your work and life in your home country? Will you work remotely from Spain? Do you have an EU passport or do you need to apply for a long stay visa? Each family achieves the ‘how’ differently. Most apply for non-lucrative visas that allow them to live in Spain long term without working and therefore must prove sufficient funds to support themselves. Many work remotely back to their home country or come to Spain with sufficient savings for a year. Spain is quite affordable compared to many other countries and is considered the most affordable country in Western Europe. We were lucky enough to have European passports so avoided the visa process and my husband had accrued long service leave that gave us an income. 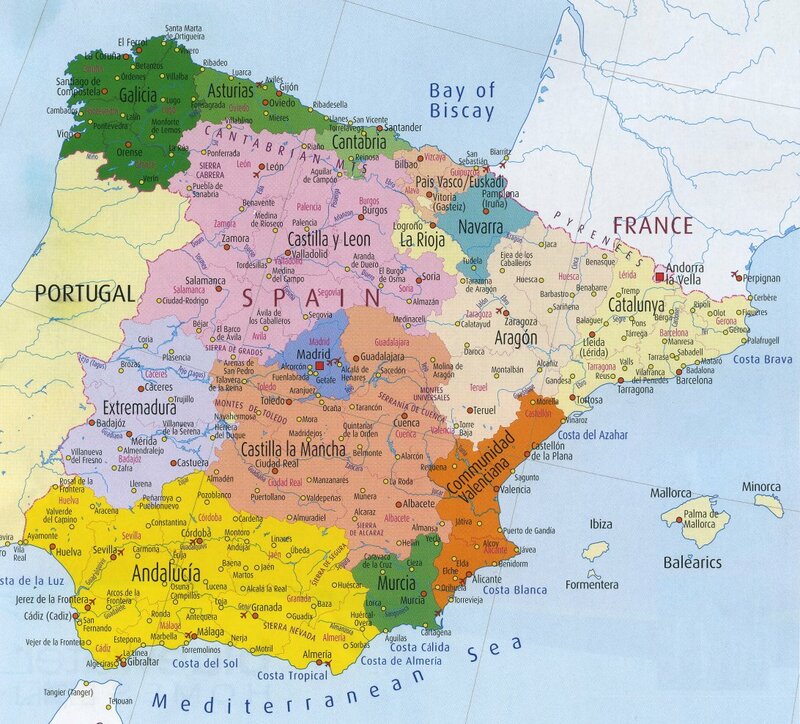 WHERE do you want to live in Spain? A large city, medium city, small city, or a small town? Is climate important to you? What sort of climate appeals to you? Spain has several climate zones, all very different. What sort of amenities do you require where you live? What sort of schools are you looking for? Are you more into culture and fine food, nature and rural areas? Do you like mountains or beaches or the tablelands? 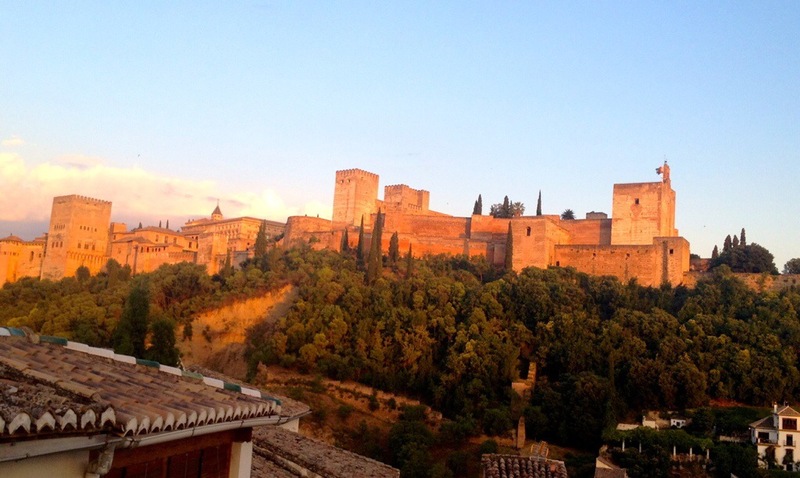 For us, although we are big city people, we wanted to experience something different andchose to live in a small city: Granada. 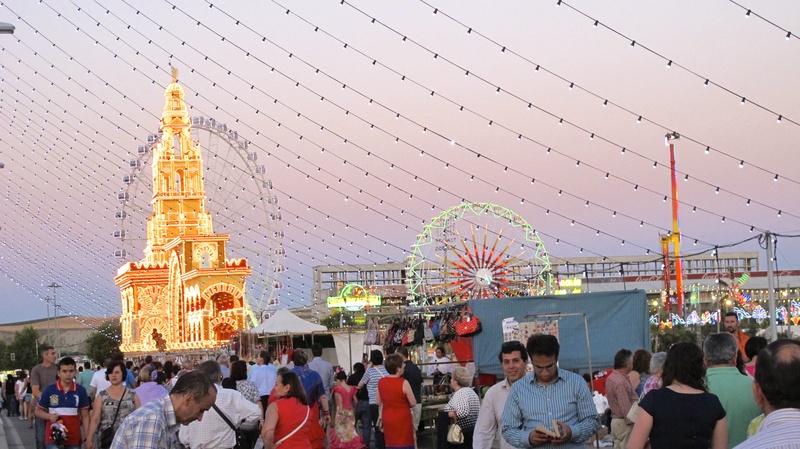 We were really happy with our choice as it is a manageable, walkable city with many cultural and sporting activities to keep one busy and engaged. Granadinos were welcoming and warm and had time to get to know us. WHEN are you planning to go and for how long? When is the best time to arrive and depart? When can you leave and return to your homeland? When can you get away from your commitments? Do you want to arrive in a particular season? Most families arrive at the end of August in time for the commencement of the school year in September. This is also when many rental properties turn over and become available after the summer high season. Other families from Australia and New Zealand prefer to arrive in January to follow the southern hemisphere school year. There are of course many other detailed questions to be answered however these are the first broad questions to set you on your path to a year in Spain or anywhere really. 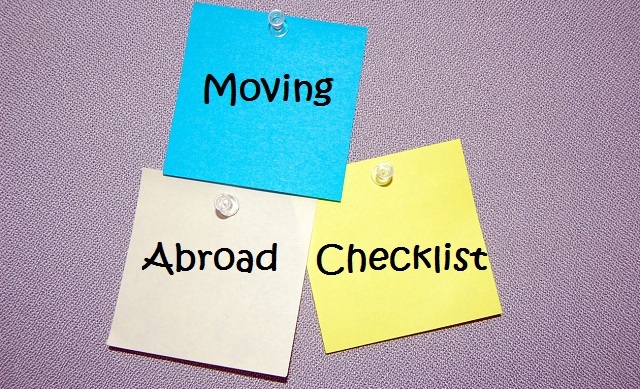 If you are thinking of moving overseas for a year, and in particular to Spain, maybe I can help. 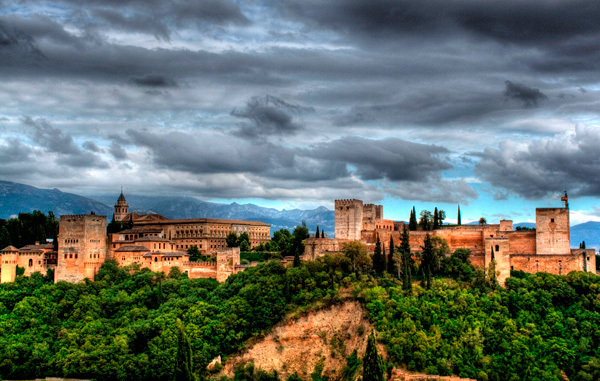 Check out Your Year in Spain – Happy adventures!! Best of luck to you guys! I’ll follow your story as my fiance and I are planning to move to Spain as well. We thought of living in Valencia! Look forward to reading more about your journey! Thanks for your comment and wishes and good luck for your preparations. I have heard Valencia is a lovely city! What an exciting journey!! We are currently at the stage of “toying” with the idea of going abroad to Spain for a year as well, with two 12 year old girls. We are also stuck on the family pet situation. In fact Australia is my first choice to go abroad—however it is very difficult to even bring pets in from what Ive read? They are quarantined for apprx 6-8 weeks upon arrival? Spain seems to be a little more lenient with the pet situation…and much closer. Look forward to following your updates on the impending departure! Hello! Thanks for your comment. Australia is definitely hard to bring pets into- lot’s of paperwork and vet tests plus the quarantine. I wouldn’t recommend it. Other than that, it’s definitely worth the flight to get here. A great lifestyle but Spain is also exciting! WE can’t wait to be there- counting down! Just curious as to where you ended up going or are you still planning? let me know if you need any help on moving to Spain as I learned so much during our year and am now helping other families make their dreams come true. Just discovered your blog. Feels almost as if I’m reading my own story! My family — husband and 11-year-old son — are due to move from the U.S. to Valencia in four weeks. We’ve rented our house to a Norwegian family, enrolled our son in school (and me in language school) and found someone to care for our cat. Now all we have to do is decide what to take! I’ll be following your adventures with great interest once you settle in Grenada. How’s your year been in Valencia? Would love to hear about it! Oh, my gosh. Where to begin. Our first three months were beyond terrible. So many difficulties. Our apartment was much less connected to transportation than we’d anticipated, so just getting a cup of coffee — let alone groceries — was a real trial. 3K walk (or bike ride uphill) just to get to the Metro. We were exhausted. We kept trying to live sans car — for economic and environmental reasons — but after four months finally broke down and rented a car. Expensive, but necessary. Then, after 4 months, everything began to click: friends, the language, feeling at home in the world here. Now we’re in love with Valencia and don’t want to leave. In fact, we’re meeting with lawyers trying to figure out how to extend our visa and stay at least another year. Fingers crossed that it will be possible! Oh, quite the journey then from hardship to happiness. I am glad it worked out in the end and I hope you are able to stay longer. We would like to stay longer too but our jobs await us back in Australia so we are preparing for our goodbyes and return to the other side of the world 😦 It really has been an incredible year. It really helps having the right passport, doesn’t it? 🙂 May I ask how much your school charged for your classes?